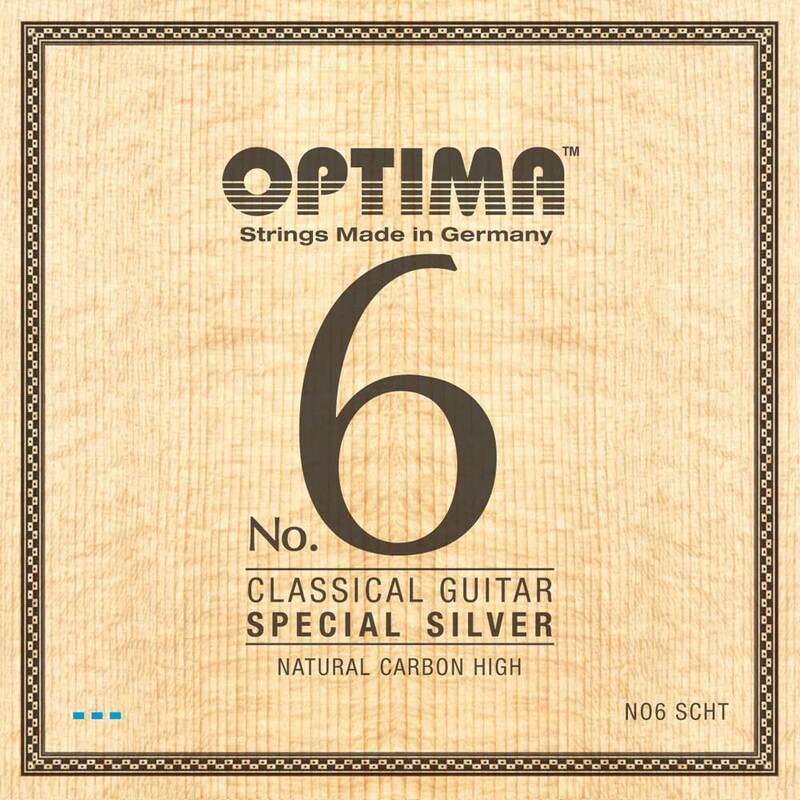 OPTIMA No.6 SPECIAL SILVER STRINGS - This name every concert guitarist has to remember, because these strings are acompletely new dimension. Optima has left behind old patterns and old materials and has simply invented the classical guitar string new. The bass strings, made of a completelynew core material, wound with aSpecial Silver wire, result in a string with an extremelyfast response and a powerful tone that is sustainable andvery rich in overtones. Here, the sound spectrum remains perfectly balanced. The set is completed with the highly acclaimedNatural Carbon treble strings. The new NATURAL CARBON delivers a warm but a clear, brilliant sound with a lot of overtones, without sounding sharp. Natural Carbon is a special, new carbon material which combines the advantages of common carbon, nylon and gut.